It's heeeeere! Gwen's third cover! 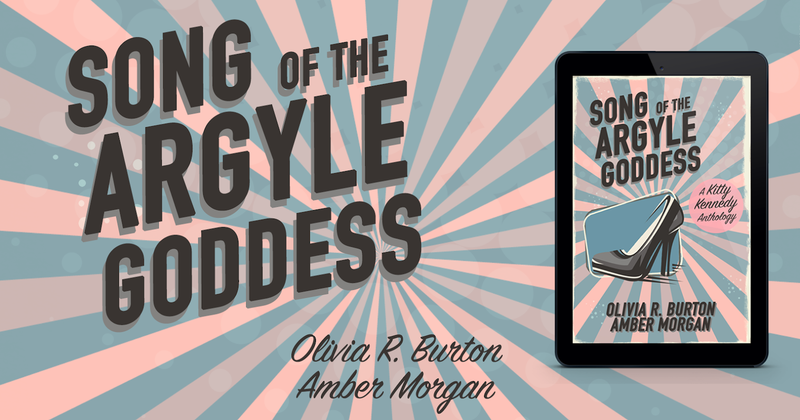 I'm so excited to get this book out. It's probably my second favorite of Gwen's books, mainly because it involves a lot of what I love to write best for her: sniping. Gwen is an excellent sniper. Not... like, with guns or whatever; that's Chloe's deal. Gwen's good at the verbal type of sniping, where she and someone else--usually Mel--argue and insult each other for no good reason. And Cold Feet has a lot of reason for that! “Will you marry me?” Mel asks, making Gwen suspect maybe his presence has finally given her an aneurism. Of course she won’t, she thinks, before he offers her the most delicious cupcake she’s ever eaten. Hang on, she reconsiders, maybe this could work. Mel’s not completely sure it can work either, but he’s got a problem that Gwen seems unusually suited to solving. There’s a shady marriage counselor that bears investigating and seeing as how Gwen’s a therapist herself—and an empath—her help could be just what Mel needs. The only downside for them both is that, despite no longer totally hating each other’s guts, now they’ve got to play nice. Not completely nice, luckily; no couple goes to counseling because they get along too well. Gwen always knew spending a week with Mel would nearly kill her. Doesn't that sound fun?! It is, I promise. Gwen and Mel finally start to work out what their friendship is exactly, we learn more about Mel in general, and there are werewolf puppies, people. PUPPIES! There's also a bit of a bombshell at the end, one that Gwen will need some time adjusting to, so that should be fun. 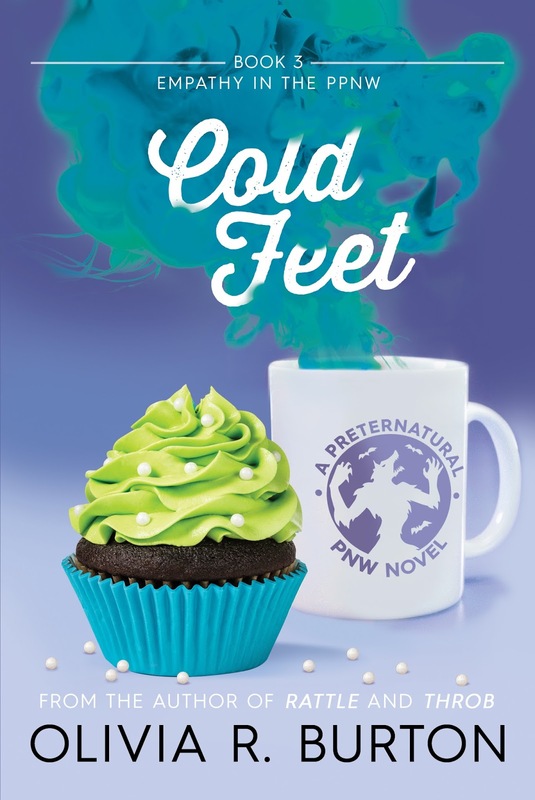 I'm aiming to have Cold Feet out come May 1, both in ebook AND in print. Are you excited?! You are, I've decided. 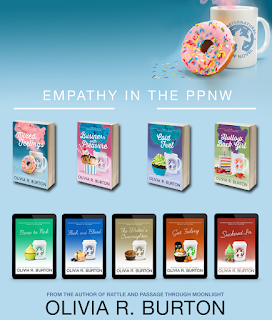 If you're in the Seattle area, you can celebrate with me by coming to my very first author event! May 13 at 2pm I'll be doing a reading from Mixed Feelings and giving out free donuts and bookmarks. I'll sign books, if people want, and answer questions if anyone has any, though I have a sneaking suspicion people will just show up for the donuts. 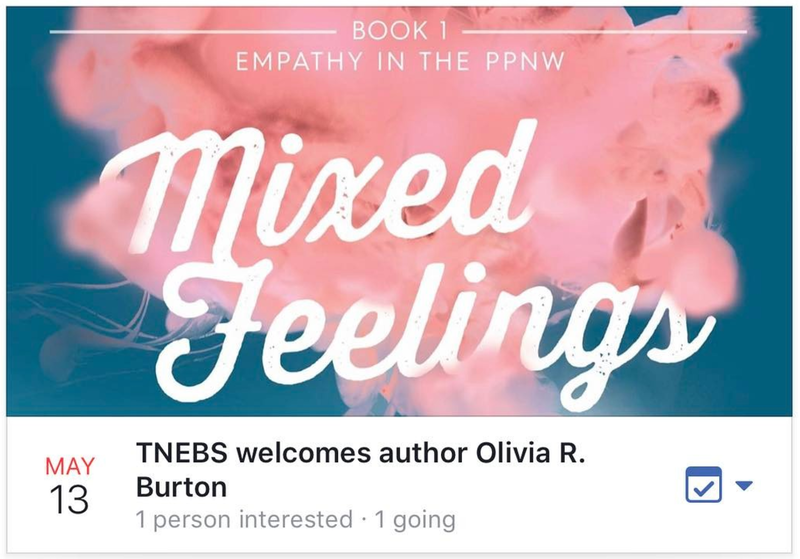 It's going to be in Bothell, WA at The Neverending Bookshop. 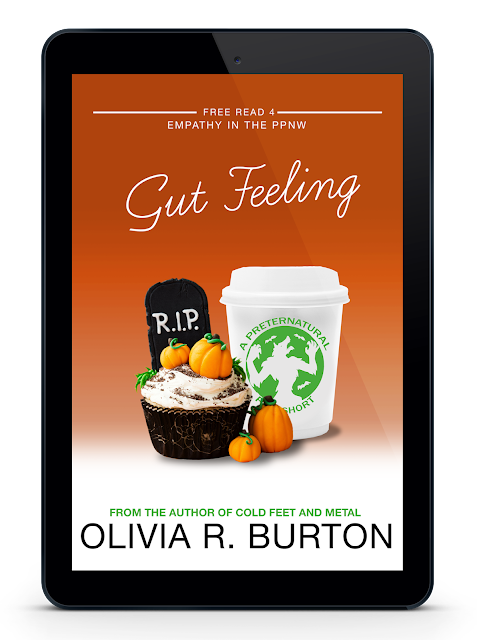 If you want to support a local, vegan author, come by! If you just want to browse a small, woman-owned bookshop, stop by! If you have nothing to do that day, stop by! Please, guys, I'm desperate. It'll be fun, I swear!